Members in Centrepoint (the homelessness charity) are clear - action is needed now to reduce workloads and stress, and to provide frontline workers with the resources they need to really help young people in their care. High and highly demanding workloads are affecting our members' health and well-being, leading to burnout and family breakdown. Poor pay is leading to rising debt levels and inevitably, members are considering leaving. In our survey, 87% of respondents said that they were now in debt and 70% were thinking of leaving. They are also fed up with seeing vulnerable young clients who need high levels of support but have no-where else to go, thanks to a combination of government policies, high turnover, and poor management at the organisation. Centrepoint has reported that its turnover has reached 23% per annum. They are losing experienced staff who are often replaced with short-term agency workers. Now is the time for Centrepoint to understand why its skilled and experienced staff are leaving, and take action to address their concerns. In a recent survey by Unite, 90% of respondents want more resources for service users, including more frontline staff. They also want decent pay, training, and working conditions. 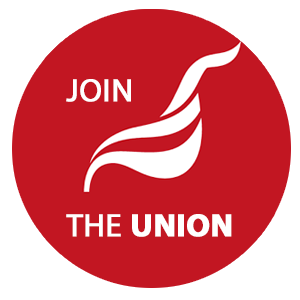 Join Unite online to give you power in the workplace, and help us change things for the better. Get involved with our Sector Standards campaign for a fairer society, and fully funded, safe and integrated supported housing services.